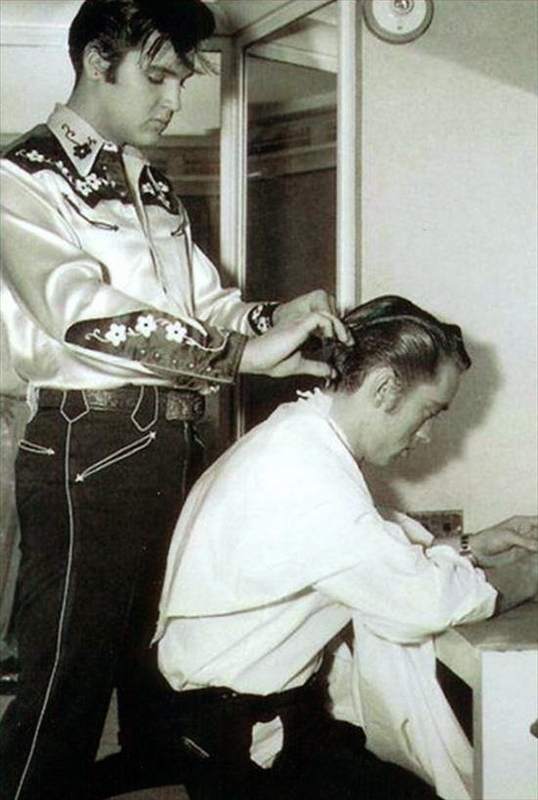 I really have always loved Elvis’ hair. I like him too, although I find him a little sad for some reason, but his hair was gorgeous. I really love these photos of him getting his hair cut and cutting hair! I can’t believe the barber did this wonderful cut with only the clippers and no scissors. Definitely a technique I’d love to master. There’s something very lovely and candid about pictures of people getting their hair cut. It’s something everyone has to do, famous or not. 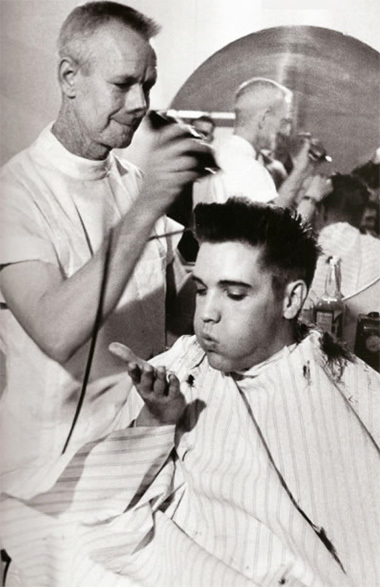 I especially I love the fact that Elvis often just went to any old barbershop for a cut, not too much of a prima donna. I always feel very responsible for the person in my chair during the hour that they trust me. Not just for their hair, but for their general happiness also. Sometimes it’s an awful lot of pressure actually. 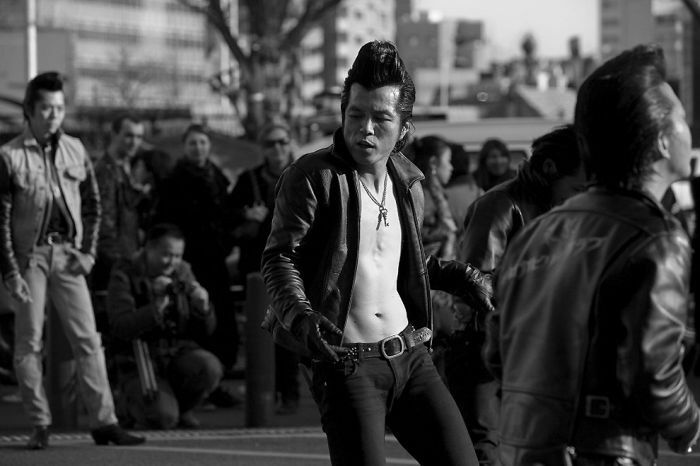 I noticed a lot of over-the-top rockabilly Elvis hair while I was in Tokyo. 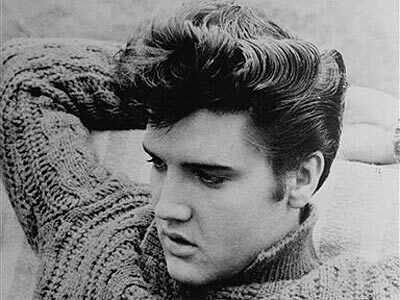 There are an astounding number of Japanese Elvis enthusiasts. I think way more people should rock this look, it really packs a punch doesn’t it? Viva Las Vegas. Click the photos for the links. 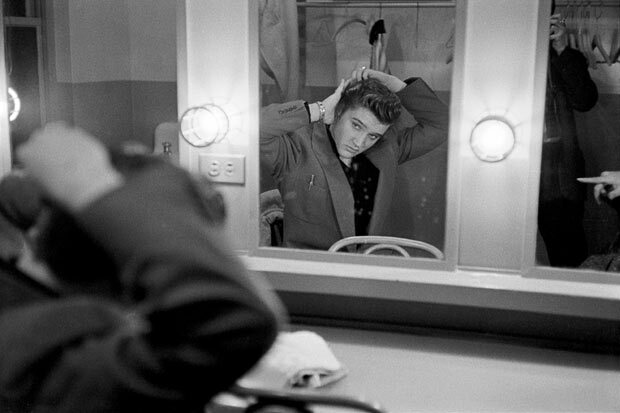 I think the Elvis retro look is becoming quite popular again. My nephew and stepson both have something from the same era. I’d love to see your work. There’s something very special about finding someone who can cut and style your hair well. It’s true Sam – there are many men trying retro looks these days, thanks to mad men and boardwalk empire and other shows and movies. It’s great – more men should try something new!